In the South there is a saying about being taken to the woodshed. The woodshed is where you go to get a whipping and sort out your issues. I've been spending so much time in the woodshed spiritually speaking that I could take up residence. In the truest sense, I have been sorting out some deep hurts and some desperate hopes with Jesus. As I followed this book through the Beatitudes, I was more and more desperate to be like Jesus. Humility is my buzzword. Every time I hear it, it is like an auditory prayer. Simply the word coming in changes into a cry of my heart. Pride is an easy thing for us to muster. Especially for those of us who have been abandoned and wounded. We all want to cover our scars with anything that will conceal our hurts. It is an easy trap. Of course we want others to think well of us. We want them to think we are smart, educated, beautiful, and possessing a perfectly timed wit. Pride doesn't heal others though. It doesn't even look at them. That's why we need to learn to look at the beauty and glory of who Christ is in order to be of any good to another soul. I cried through certain sections on meekness and peacemaking. "Lord, let me be like you," I prayed. How can we never leave the beloved lost in sin, always speaking into it? How do you speak out against sin and never speak evil of anyone like it says in Titus 3:2? How do we live out Ephesians 4:29? "Let no corrupting talk come out of your mouths, but only such as is good for building up, as fits the occasion, that it may give grace to those who hear." I don't know the answer, but I'm looking. Read this book. Let Jesus rend your heart and teach you to love others far beyond your own selfish capacity to do so. Looking at Him turns off the switch in our brains that makes everything about us. Five Stars. Loved it. It tore me up. We all admire humility when we see it. But how do we practice it? How does humility―the foundational virtue of the normal Christian life―become a normal part of our everyday lives? 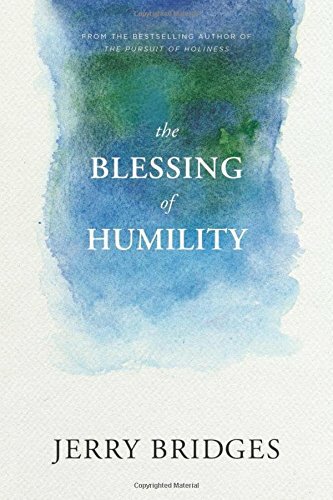 Jerry Bridges sees in the Beatitudes a series of blessings from Jesus, a pattern for humility in action. Starting with poverty in spirit―an acknowledgment that in and of ourselves we are incapable of living holy lives pleasing to God―and proceeding through our mourning over personal sin, our hunger and thirst for righteousness, our experience of persecutions large and small, and more, we discover that humility is itself a blessing: At every turn, God is present to us, giving grace to the humble and lifting us up to blessing. This book was graciously provided by NavPress for review. 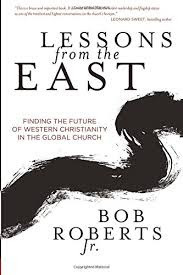 Lessons From the East by Bob Roberts Jr. I did not know what I was getting myself into when I selected this book for review. It's hard to tell which direction people are going these days with the adulteration of the church. Thankfully, Bob presented a simple, honest plan for spreading the gospel. It's the plan I would say is closest to my heart. Bob shares stories from around the globe, not about major marketing plans for our churches, but how people were reaching thousands by loving their neighbors and encouraging others to do the same. It's authentic and relational. The words are a call to self-abandonment. It's counter-culture. It sounds radical. So many of the ways that he is engaging different cultures would be terrifying to us. We are comfortable and have a hard time veering from our routine. We never engage these people except with disdain or pity. What if we were their friend? What if we really listened? What if we were there when people needed us? What if we respected people and allowed God to work in our relationships with them. This is how we are trying to live. Not in a big, churchy program conversions, but by way of relationships. Loving people is hard. If you read this and choose this, prepare your heart. It hurts. You will pour out everything you have and be a good friend and love deeply. Some people will receive it, but many will abandon you. Grief will flood your world and you will need to pull so close to Jesus to endure it. When you do endure it and continue to be kind to others, pray they see him. Discover needs and meet them. Serve others. Do it for Christ. Don't do it for some culturally acceptable charitable reason. Do it because you love him and you love people because he loves people. He so loved the world. Do it because you need him. Do it for the gospel. Engage someone somewhere. Be ready and listen for his guiding. Who is the least likely person you could reach out to right now? Go. Love. This book was graciously provided by David Cook Publishing for review.